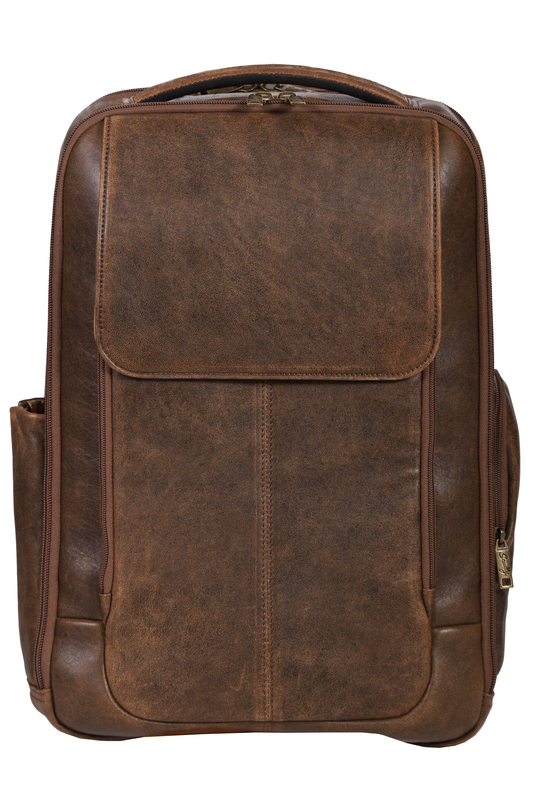 This backpack features a front flap snap closure. It has a front 3-way zip organizing section with key fob. The interior front section for laptop with accessory pockets. Exterior top center zip for easy access. Rear interior compartment padded with open pocket for tablet. Two side pockets,one with vertical zip and one with 3-way zip. Rear mesh back with 3 padded sections, one full open pocket and backpack adjustable straps.